A dessert you will love. 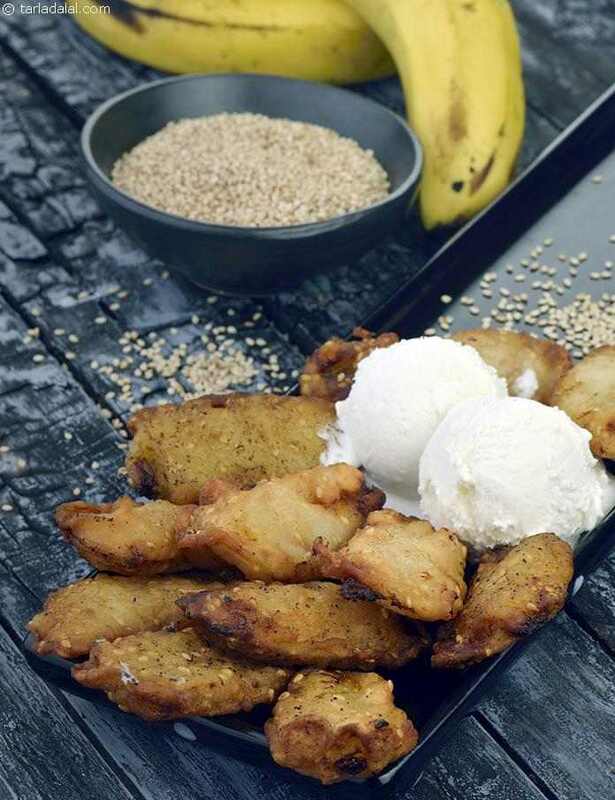 Thai-style Bananas is refreshingly different, and quite unlike anything you might have tried before, because the banana fritters that form the base of this dessert are made with a sesame-tinged batter, which imparts a very appetizing aroma to it. The addition of coconut further enhances the texture of these fritters, making them quite exciting to bite into. The batter-coated banana slices will take some time to turn golden brown and crisp, so do be patient while deep-frying them. Drain the fritters, and serve immediately, topped with mouth-watering Coconut Ice-cream . A combination of vegetables in thai green curry paste, cooked with a flourish right in front of your guests.